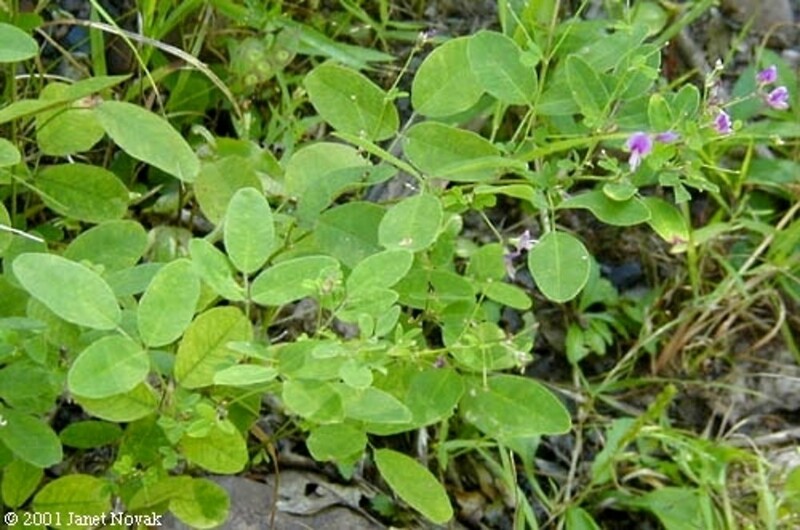 Violet bush-clover is found on rocky slopes and ridges of dry-mesic woodlands. Lespedeza violacea, of authors not (L.) Pers. 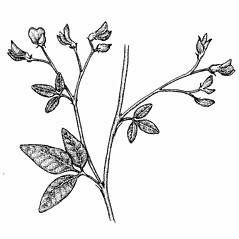 violet bush-clover. 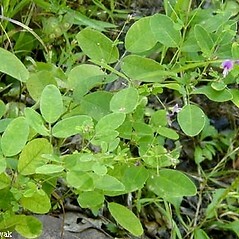 Hedysarum frutescens L.; Lespedeza violacea, auct. non (L.) Pers. • CT, MA, NH, RI, VT. Dry-mesic woodlands and forests, often on rocky slopes and ridges, openings on balds and ledges. 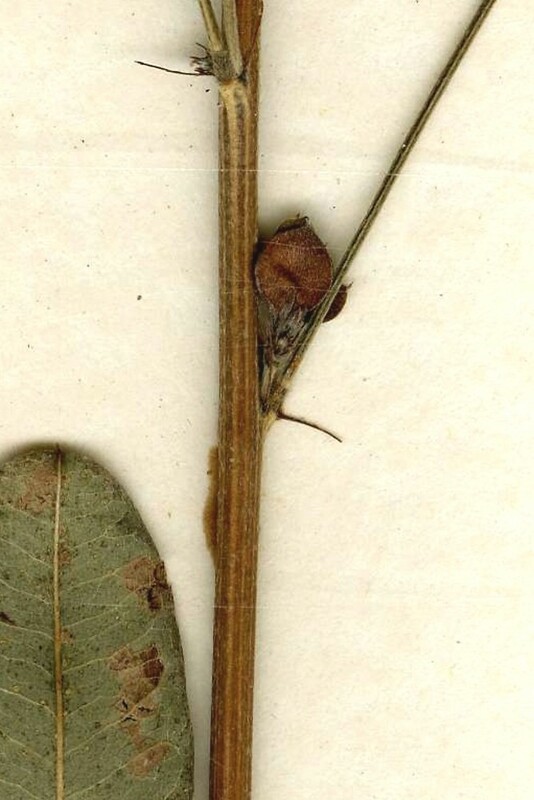 This species has long been called Lespedeza violacea; however, that name properly belongs to the species that has been called L. intermedia (see discussion under L. violacea). 6×7. 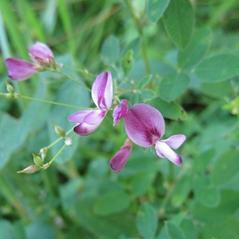 Lespedeza frutescens × Lespedeza hirta → This very rare bush-clover hybrid is known from RI. It has fruits mostly 1.2–1.5 times as long as the sepals and has fewer-flowered and looser inflorescences than Lespedeza hirta. 6×10. 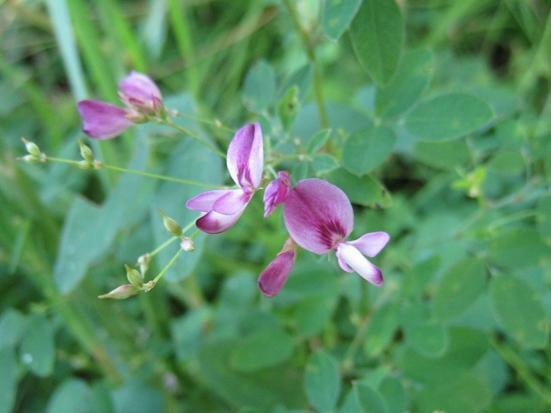 Lespedeza frutescens × Lespedeza stuevei → This very rare bush-clover hybrid is known from RI. 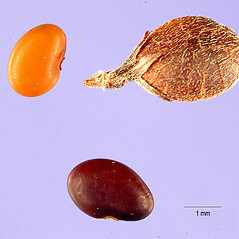 It has fruits mostly 1.2–1.5 times as long as the sepals and has fewer-flowered and looser inflorescences than Lespedeza stuevei. 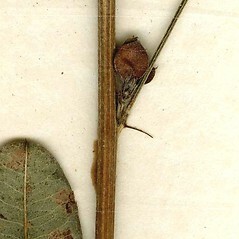 The leaf blades have, on average, more pubescence than L. frutescens. 6×13. Lespedeza frutescens × Lespedeza virginica → Lespedeza ×‌acuticarpa Mackenzie & Bush is a very rare bush-clover hybrid known from RI in New England. 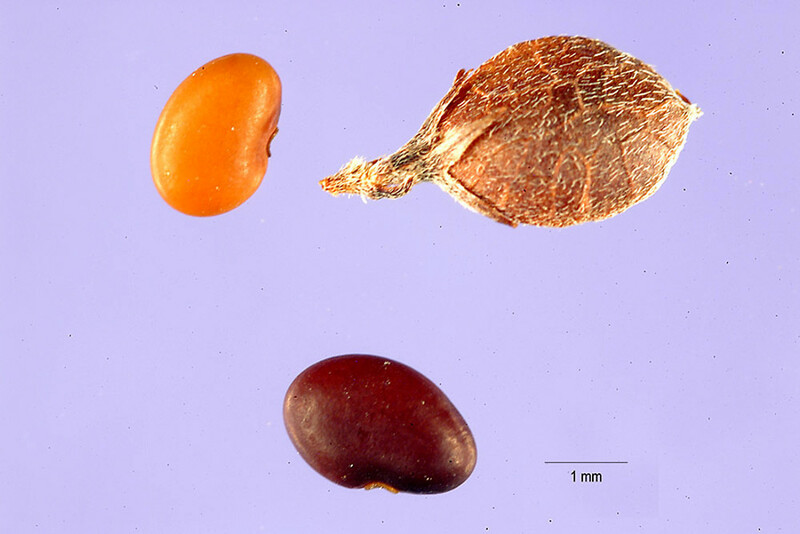 This taxon is morphologically diverse, ranging from plants that resemble L. frutescens with unusually narrow leaflets to plants like L. virginica with a few, well-exserted racemes.